The Federal Court’s recent decision to dismiss the Titular Roman Catholic Archbishop of Kuala Lumpur’s application for leave to appeal renders the previous judgment of the Court of Appeal as legally correct and as such remains binding. At the time of writing this piece, the written grounds of judgment from the Federal Court has not been available to the public. The grounds of judgment of the Court of Appeal, on the other hand, have been out for quite a while. If one were to peruse through the written judgments of the three justices who sat at the Court of Appeal, one would note that the thrust of the reasoning lies in the finding that the Home ministry was not unreasonable — i.e. it had not acted inappropriately — in exercising its discretion to prohibit the misuse of the holy name “Allah” in the Malay version of the Church’s publication, Herald – The Catholic Weekly. This, among others, was based on the fact that the ministry had issued a directive to that effect since as early as the year 1986, the directive of which had however time and again been breached by the said publication. It was following such breach that the ministry sent various and repeated letters of reminder, respectively dated 27/05/1998, 11/10/2006, 17/01/2007, 05/02/2007 and 13/09/2007, but all of which to no avail, since the editorial of the publication had chosen instead to audaciously ignore such admonitions, prompting therefore the ministry, after giving leeway for a span of 20 over years, to issue show cause letters against the publication followed by a Prohibition Notice. While the scope of the discussion in the lengthy judgments of the three judges ranges from issues of constitutional rights and limits, administrative laws and functions under the Printing Presses and Publications Act, as well as on public security, it is also to be noted that one of the important issues was that of linguistics, and this was particularly highlighted in the judgment of Yang Arif Dato’ Mohd Zawawi bin Salleh, pursuant to the oral and written submission of Mr Haniff Khatri, a prominent and senior member of the Bar acting as the learned counsel for the Malaysian Chinese Muslim Association as one of the appellants therein. In the church’s affidavit, in its attempt to justify the usage of the holy name “Allah,” it was contended that the word “Allah” is the correct translation of the word “God” in Malay, and that it has been used in Christian publications since as early as the 17th Century. Various chronological purported publications including that of Munsyi Abdullah’s 1852 translation of the Gospels were relied upon and referred to by the church, which could all be traced back to a Malay-Latin dictionary published in the year 1631, translating the word “Deus” being the Latin word for God as “Alla” in Malay. How then could such translations be relied upon as authoritative? At one point, the author even noted that Abdullah Munsyi objected to the various biblical phrases in Malay, like that of “Kerajaan Syurga (Kingdom of Heaven),” “Mulut Allah (Word of God),” “Anak Allah (Son of God),” and so on and so forth. With the finality that comes with the recent Federal Court’s decision, it is timely that the Christian’s community in Malaysia takes serious consideration to do what needed to be done in order to do justice, not only to the Malay language, but also to their own scriptures. As Hunt himself acknowledged at the end of his academic article, “there may be the need for further new translations.” In this regard, it is respectfully submitted that now is indeed the time to correct what has long been overdue. In translating important theological key terms, such as the holy name “Allah,” great care must be taken to refer only to authoritative works, from those of whom their expertise in the Malay language have been duly recognised. This would include the likes of the oldest known Malay manuscript, the Aqa’id of al-Nasafi (1590) wherein it was affirmed that the holy name “Allah” in the Malay language refers strictly to “the One … [who] … is neither accident nor body nor atom … [who] is not formed nor bounded nor numbered (that is, He is not more than one), neither is He portioned nor having parts nor compounded,” the definition of which is clearly incompatible with the Christian’s concept of trinity. Another such definition could be seen from that accorded by Raja Ali Haji (died in 1873) who is considered as the first authoritative lexicographer of the Malay language. His detailed definition of the holy name “Allah” in his Kitab Pengetahuan Bahasa (The Book of the Knowledge of Language) could not be more irreconcilable with that of the trinity. 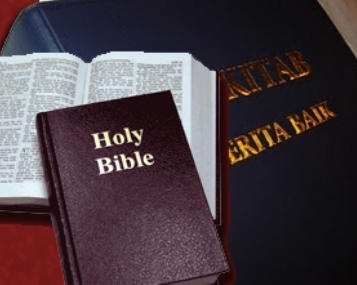 In the above light, one would suggest that the Christian community engage and work closely with Dewan Bahasa dan Pustaka, being the public institution vested with the statutory power and duty as the guardian of the national language, to correct what needed to be corrected in the current translation of the Bible. It must be said that it was unfortunate that the whole matter first came to public attention via the court case as a fully blown constitutional appeal. This has caused bitter division and hatred within our multi-religious society. 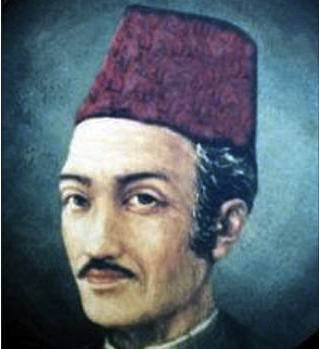 It is in this light that it becomes all the more important that one must never lose sight of the very underlying scope: that the objection is and has always been specifically only against the alteration of the meaning of the holy name, as understood in the Malay language, not Arabic, not English, neither any other languages. And the reason is for fear of unwarranted shifting to the firmly rooted theological concepts emanating from it. Never has it been about claiming ownership to the word, as some quarters had relentlessly try to simplistically portray, neither has it been to prevent the Christians from freely professing their religion. July 1, 2014 in Perlembagaan Persekutuan.